Translocation is the movement of a group of individuals from one site to another. Conservationists and wildlife managers around the world use translocation to new and/or newly safe habitats as a tool for preserving and propagating threatened species whose populations are surviving at only few and vulnerable localities. The success of translocations is typically defined as the establishment of a self-sustaining population. 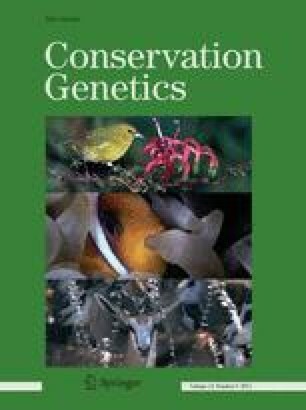 However, this definition overlooks the genetic consequences of translocations at the metapopulation scale, especially when maintaining genetic diversity is one of the specific aims of immediate and/or long-term management goals for the translocated population. We evaluated the potential effects of translocation on the total genetic diversity of a metapopulation in an increasingly common scenario: a small island as the source site, and a nearby predator-proofed, large island as the target site. Specifically, we tested the counterintuitive hypothesis that translocation and subsequent migration between an expanding, recently established population and the original population might actually result in the suppression of genetic diversity in the metapopulation relative to the temporal course of genetic drift in the small island population without translocation (control). Our simulations confirm that the directional genetic consequences of translocations are complex and depend on the combination of parameter estimates used for the modelling. Critically, however, under a lower rate of migration, lower rate of growth and higher carrying capacity on the translocation site, and smaller initial size of the translocated population, the total genetic diversity of the metapopulation may become suppressed following a translocation, relative to the control. At the same time, when translocations are carried out under a broader set of conditions, the metapopulation genetic diversity will typically exceed that of the control. Our approach is also informative about the genetic consequences of natural re-/colonisation events between small source and nearby large target sites and the resulting metapopulation. Overall, these results confirm the importance of translocation as a potentially effective and successful conservation genetic tool. For discussions we are grateful to the crew and researchers of the Tangaroa 2007 research expedition by NIWA, New Zealand, and others at the University of Auckland and Massey University and Charles Darwin Foundation. For funding, we are grateful to the School of Biological Sciences, University of Auckland, the USA National Science Foundation, the National Geographic Society, the HFSP, and PCS CUNY.